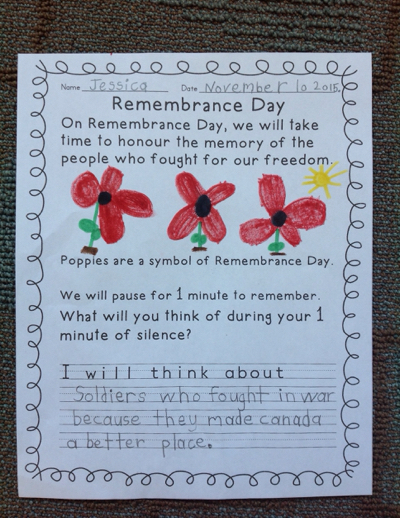 We talked about what we would think about during our one ( or two) minute of silence. 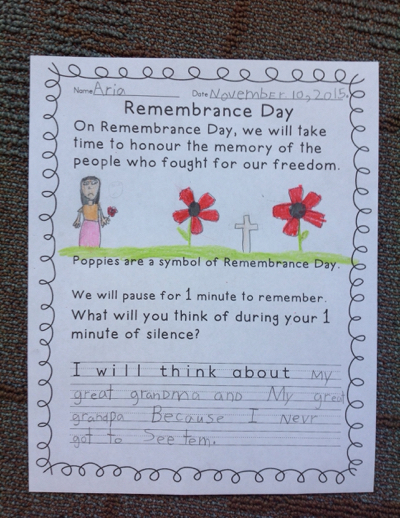 We spoke of remembering lost loved ones -- or family who we never met. 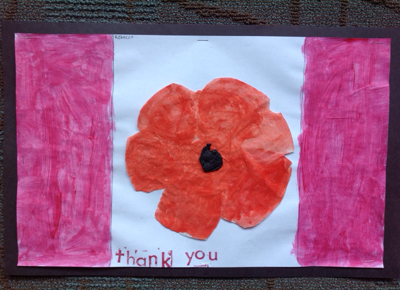 Or of soldiers who helped keep Canada a free country. 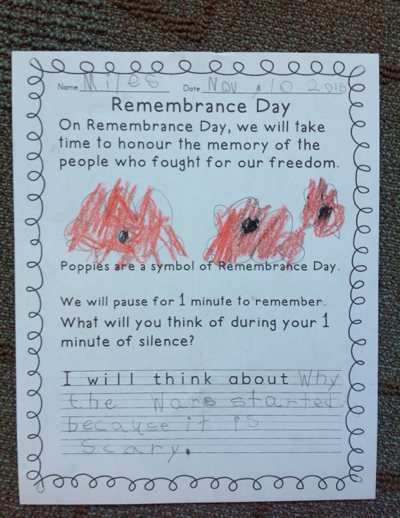 We talked about what freedom means. 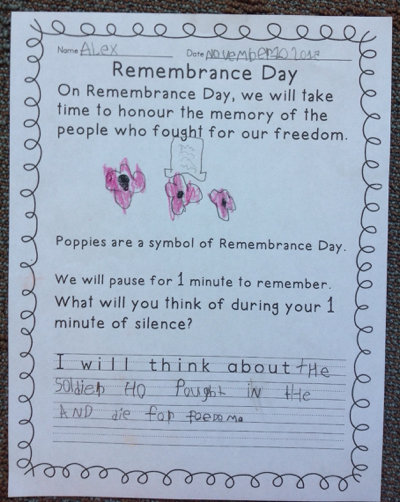 Our school Remembrance Day ceremony was lovely. One of our teachers ( Mme. Ristick) is a Captain in the reserves! 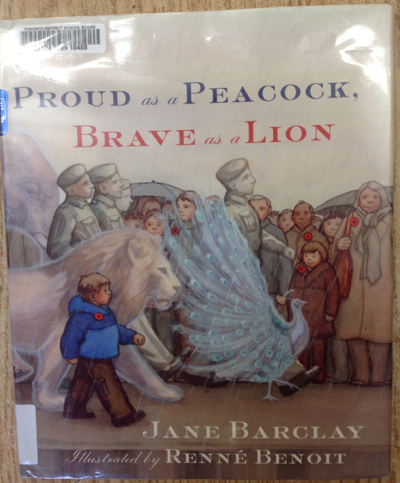 So she accompanied two Kindergarten students up the aisle to lay the wreath. 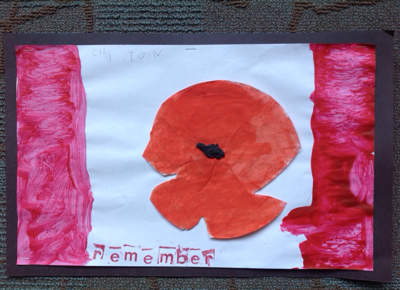 Room 15 provided some decorations for the stairwells.